This grey color winter cotton fireproof jacket made of 340gsm cotton fireproof fabric, and can meet GOST 12.4.221-2002, CAN/CGSB 155.020, EN ISO 11612, NFPA2112 and other standards. 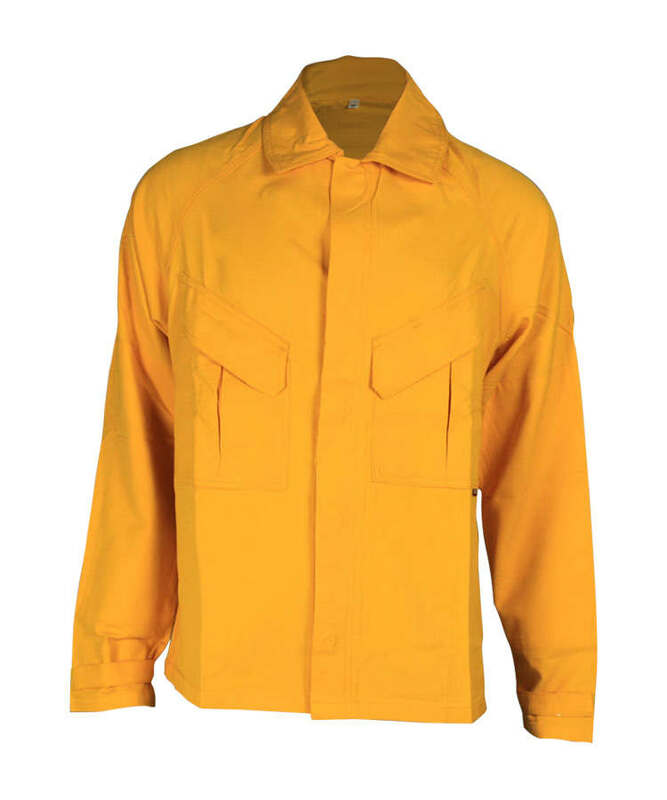 This cotton fireproof jacket adopting high quality natural cotton fiber fabrics, treatment with THPC flame resistant craft, and the cotton fireproof jacket has self-extinguishing when leaving the fire, without molten drop, char length can be controlled within 10cm, soft touching, good strength, good wear resistant property. 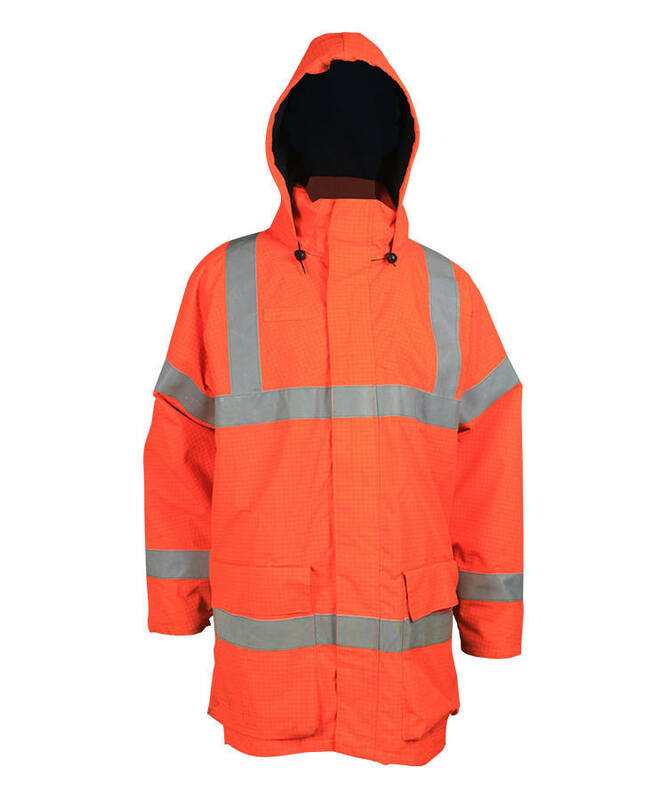 And this cotton fireproof jacket also has good elastic both under dry and wet condition, stable dimension, small shrinkage, not easy to fold, easy to wash, fast drying. 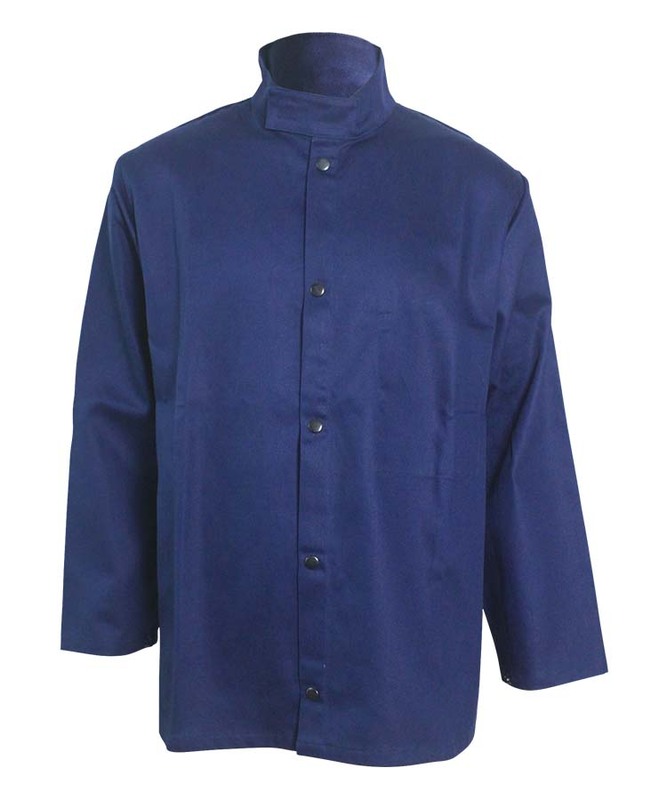 This cotton fireproof jacket has good breathability and suitable used in hot and humid conditions. The cap is demountable three pieces hood, front hood closure with velcro, the middle hood can be used as collar to block wind, warmth, flexibility and convenience. 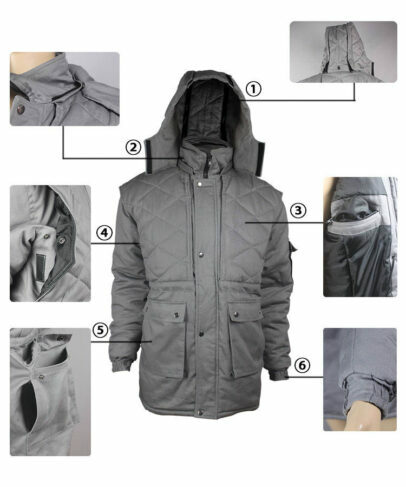 Stand collar design makes the grey color winter cotton fireproof jacket more warmth. Each side a double zipper pocket inside the chest. Front upper piece is double layer(quilted upper layer), which can get the left and right hoop piece caught in the middle, front side closure with zipper, back side closure with velcro and snap button. Each side a three-dimensional pocket with flap on front bottom piece, flap closure with snap button, leaving a side pocket opening on the back of the pocket, can be used as side pocket. Cuff tied with elastic band. 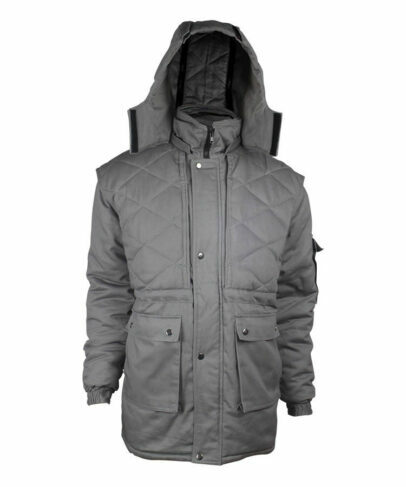 The back of the shoulder is also a double-layer design, with same quilted graphics on the front piece, the whole grey color winter cotton fireproof jacket looks simple and not monotonous. 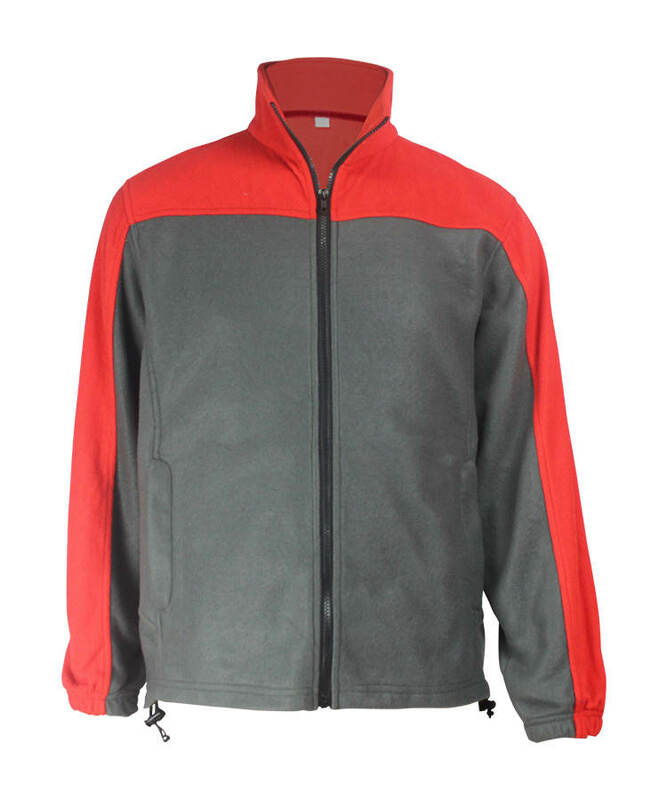 The front fly zipper is direct to the top, front fly to collar, closure with snap button. Waist with elastic band, to adjust the waist tight. The sleeve is circular cut sleeve, one piece sleeve, three-dimensional pocket with flap on the left sleeve. 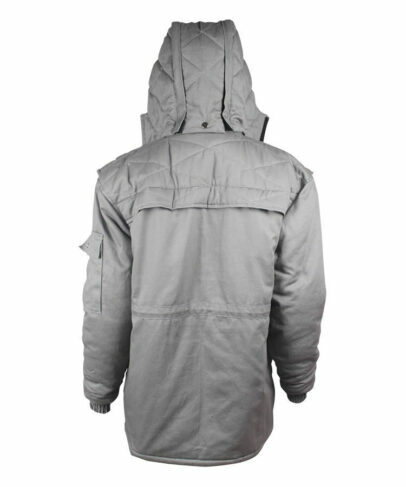 The lining fabric of the grey color winter cotton fireproof jacket: taffeta and filling. Bar tack all the force bearing point.